A portrait of a korean woman. 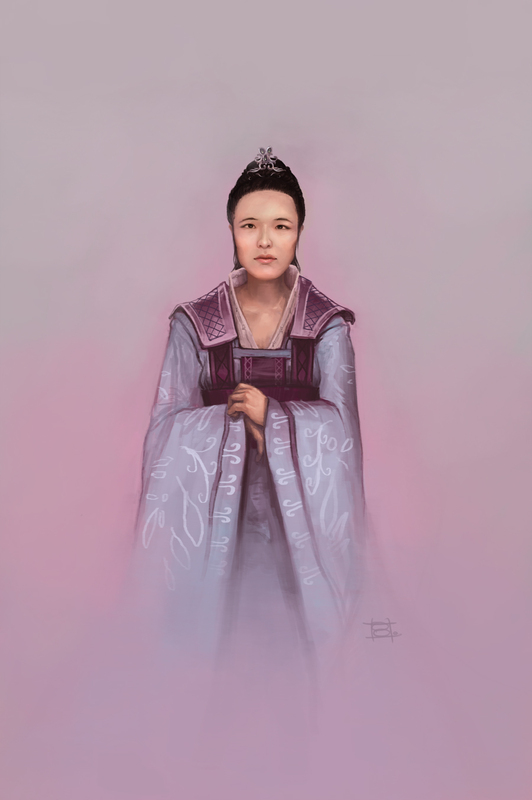 Started painting this on February 14th, and I have been continuing to do so most evenings for the past week while watching a historical Korean drama called Great Queen Seondeok. The figure started off as much younger, but as I gradually reworked her face and costume, she seemed to grow in years.